I haven’t published a blog post in about a month and this is not the next post that I intended to write, but this is where my head is. The growing list of unfinished reviews can wait. The Humans of the Outdoors’ stories will be there when I’m ready to share them. There are always more Tuesdays to be taken over by guest writers. Right now I need to address my stress and get some headspace. Consider this a follow-up to my “10 Tips for Moms Returning to Work[” (give it a quick read, you’ll get some context) – this is my second return in less than a year. After learning to plan ahead, say “no”, delegate and ask for help, the thing I am struggling most with is being okay with sucking at things, or in a nicer way, coming to terms with “good enough”. I have this dark cloud that hangs over me, it rumbles on about never-ending to-do lists, unfolded laundry, neglected house plants, piles of dirty dishes, the LEGO explosion in the living room, the walk we didn’t take – all of the things I am NOT doing. That cloud never gushes about all that I did get accomplished, nor the quality time we did manage to spend together, like the fact that the laundry is clean and we made that LEGO explosion together while playing and laughing. It’s time to change the dialogue in my head, it’s time to tell myself that I’m good enough and what I do is good enough. What actually has to get done? I mean, seriously? If it doesn’t have to get done today, don’t do it. I like to look realistically at my evening, week, month, and decide what I think I can actually accomplish. It feels really good to check things off and not good when something stays on my list for days and days and days. Sometimes it helps to pick a number, like 3, and ask myself “Which 3 things can I actually do?” or “Which 3 things are the most important?” You quickly realize how many things don’t actually have to get done. It also feels really good to do something before even adding it to a “to-do” list. Tomorrow is a new day, a new chance, a fresh start. As you learn to write “to-don’t” lists and prioritize your “to-do” lists, letting go becomes easier, and feels better. It’s not easy to let go of something you wanted to be done, or a standard of tidiness you once held, but the time and energy saved is precious and is better spent doing what you love. If it helps, tap into your inner Elsa and sing that dreaded Disney “classic”. 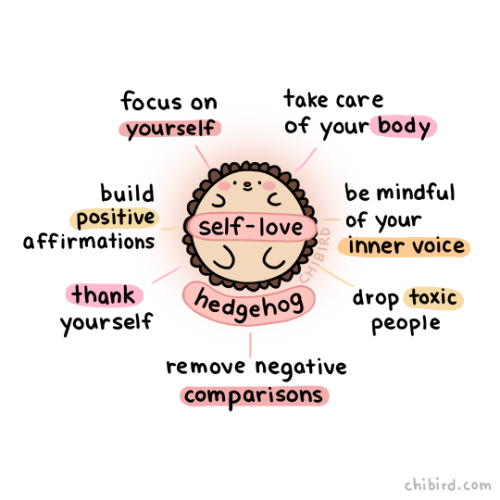 Acknowledge what you did accomplish, and treat yo’self! This is SO important! Whether you’ve checked something tiny off of your “to-do” list, successfully let go of something, made it out the door without any tears once this week, or made it through the day without getting anything on your shirt, celebrate! High fives, hugs, chocolate, takeout, that extra helping of dessert, or some sweet, sweet “me time” – you deserve it! We love a little treat when we’re feeling like we’re rocking at adulting! 5. Make the most of our time. Making “to-don’t” lists, prioritizing “to-do” lists, letting things go – it all adds up to extra time and energy. I was so excited about all of this extra time and energy and wanted to spend getting all the things done – wait, what? Yeah, that didn’t happen. The point of this is to let go of the idea of getting it all done, and so instead we’ve been spending our extra time and energy doing what we love – hiking, camping, playing with our son, spending time together. Mental and physical breaks are necessary, finding joy is necessary, living life to the fullest is necessary, and having a clean kitchen is not. 6. Weed out time-wasters & energy-drainers. Nicole, of Oh Mother Care Kits, shared this graphic from chibird on Instagram and it really stuck with me, especially “drop toxic people”. I’ve been working really hard to weed out people and activities that waste my time and/or drain my energy. Yes, that sounds really harsh, but I need to look out for me and my own and not everyone and everything helps me do that. Learning to say “no” has helped, as has adopting “tech-free time” (we put all tech away between 5 pm and 7 pm every day – this is new and we’re not perfect), watching less TV, and not committing to activities that we know we won’t enjoy. Weeding out time-wasters and energy-drainers will look different to everyone – start paying attention to how you feel after spending time with certain people or participating in certain activities. If you don’t feel fulfilled or energized, it might be time to cut the ties. Then you’ll have more time and energy for what really matters. 7. Be true to ourselves. I sometimes think about the mom I thought I would be, the blogger I wanted to be, the friend or colleague I saw myself as…are any of those really who I am or really who I want to be? I’m not the mom who frequents all of the playgroups and throws the big fancy 1st birthday party for all of my son’s “friends”. And I don’t want to be her. I’m not the blogger who quit her day job to be Canada’s top “influencer”, who spends her weekdays in cute coffee shops tapping away on my sleek little laptop. And I don’t want to be her. I’m not the friend who’s up for all of your plans all of the time, who loves to go out on weeknights and spend weekends getting away to the city or a local winery. And I don’t want to be her. I could do this all over again with Trail Dad and the unrealistic expectations he’s had for himself (or that I’ve had for him) at various points in time. It is hard to feel like we’re good enough if we’re striving for something that isn’t authentic or “us”. Accepting that we don’t have to fit into any role or stereotype or anyone else’s expectations is so liberating! I absolutely LOVE our quiet evenings at home just the 4 of us, cuddling in track pants, building boats out of LEGO, watching the Tonight Show on Youtube. And of course, I love spending every Saturday hiking kilometres upon kilometres in the woods somewhere. Along the same lines as celebrating every win, is taking the time to be thankful, to be grateful, to appreciate all that we have, all that we do, all that we are. We find it especially powerful on terrible days to look back and take note of the good. Being teachers, we are very familiar with the “bucket filling” analogy. Briefly, everyone has an imaginary bucket and all day long people and events fill that bucket or dip into it. At the dinner table each night, or sometimes in the car on the way home from work if we need it sooner, we ask each other “Who filled your bucket today?” It is wonderful when we can forget about who or what dipped into our bucket and focus only on the bucket-fillers. There are plenty of other ways to practice gratitude, so find what works for you. Meditation is new to me, but in only a few days I am already recognizing many of its benefits. I asked around on social media and amongst friends for some resources and the 3 apps that kept coming up were Headspace, Calm and Breathe (Stop, Breathe & Think). I have only really experimented with Headspace, and only with the free version elements so far, but am so so happy! I’ll be using Calm in the classroom, as they offer free access to teachers and I know that my students will benefit from learning with me. I love these apps for how accessible they make meditation: you can do it anytime, anywhere, in just a few minutes a day. How sweet is that? 10. Find a mantra (or five). Have you mastered “good enough”? Please, tell me your ways! Oh I wish!! I struggle constantly with this!! My whole life I’ve never felt good enough or enough for anything. I think you should teach me more of your ways lol!! I love love love this post!! I can really relate as I have been struggling a lot with this. I love your mantra and need to adopt my own. I may steal yours in the time being. Thank you for this post – I think you are awesome!! Thank you so so much! Feel free to steal anyone’s mantra, anytime! You have my permission lol. You have to find what works for you. Great blog post . I myself meditate to festered myself . I need to get myself som mentors cards ! I am sure it will help me a lot through out the day. Just a little reminder . Fantastic list,everything has a time and place we just need to set when ! You have a great list to live by there, and really one step at a time gets you through. Thanks for reminding me that I have to go water the plants! Seriously though, my biggest trick these days is filling a bowl of smarties. I get one smarty per task that I check off my daily to do list. Sometimes it takes a lot of work to earn one smarty (writing a story for example or two hours of contract work,) but it helps keep me focused. And if I only fill the bowl with the number of smarties/ tasks I realistically hope to accomplish, it’s fun to watch the bowl empty. And the little stuff counts! So, getting a kid to school, check! Cleaning the kitchen, loading the dishwasher, check.